Anna is based in London, UK. She brings over nine years’ experience in private and public equity research and portfolio management, as well as more than 3 years’ experience in government consulting. She is a Co-Founder and Treasurer of Tribal Art Foundation focusing oneducation and health in developing countries. 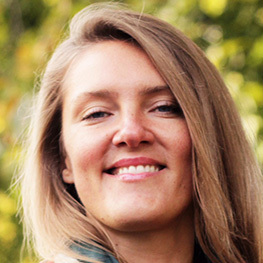 Prior to joining Topan, Anna was a Director at Lion’s Head Global Partners (LHGP), an investment bank based in London and Nairobi, providing investment strategy and support to institutions within the global public health sector with an emphasis on neglected tropical diseases and maternal and newborn health. Before LHGP, Anna was Assistant Fund Manager at RAB Capital. Focusing primarily on the natural resources sector, she was responsible for the asset management of the Global Mining and Resources and Special Situations portfolios. Over seven years she unleashed the commercial potential of mineral assets while fostering resilient communities and environments. Anna holds an MSc in Economics and Politics from the Warsaw School of Economics (SGH). She is fluent in Polish and English, and proficient in Spanish, German and Russian.